Search engine optimization is a deep sea of opportunities and in this article, we are going to dive deep into SEO Statistics to explore this sea. 67K searches are performed on Google every second- That means over 4020K searches are performed in a minute. These seo statistics say how big and profitable search market is. 93% of online experience begins with a search engine- This percentage says why search engine optimization is so important. Almost 93% of people use a search engine to find websites. 80% users ignore paid ads in SERP- Yes 80%. You know what that means? This means SEO is a better option than paid search ads as paid ads are not that effective and often ignored by people. Search engines drive 300% more traffic to sites than social media- Search engines are the single most effective way to drive highly targeted traffic to your website. 39% of Global e-commerce traffic comes from search- If you are running an e-commerce website, this stat is for you. The first search engine Archie was launched in 1993- After the launch of Archie, many search engines were introduced like yahoo, Baidu etc with binge being the youngest. The second largest search engine today is Youtube. 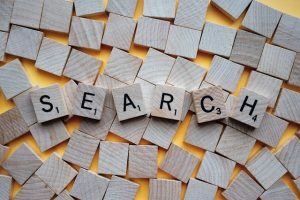 According to SEO statistics, Google is the most used search engine holding 72.87% of the desktop and 92.59% of the mobile searches- SEO is not all about Google but almost about Google. SEO leads have a 14.6% close rate compared to only 1.7% for outbound leads such as print advertisements. SEO is the most effective way of digital marketing. 50% of people who do a local search on their phone visit the physical store within a day- This shows that local searches are most targeted and a great way to promote your local business. 50% of searches will be voice searches by 2020- Get ready to optimize your site for voice searches. Voice search is going to dominate the search market in the future. At present, 58% of searches are made from a mobile device and this percentage is going to surely grow in future so mobile optimization should be your top priority. At present, 40% of searchers search solely on smartphones. Companies are predicted to spend $79 billion on SEO by 2020. The SEO industry is big and investing in SEO is worth an investment. SEO statistics imply that a career in SEO is going to be in trend. The average length of top-ranking pages in Google is 1890 words. Google makes changes to its algorithm almost 600 times a year and only some updates are announced in public. On the desktop, search traffic converts 10 times higher than social media- Traffic from search engines is highly targeted and thus converting. The average speed of top rankings sites is 1900 ms- Google is on a mission to make the whole web fast. Google has already announced that webpage speed is one of the ranking factors. Start optimizing your website for speed if you want to see your site ranking on Google. A site ranking on the 1st position has 6 times more backlinks than a site ranking on 10th position- Backlinks were and are important in SEO. But unlike earlier, now the quality of links is more important than the number of backlinks. A backlink from a high DA site like Forbes is 10 times more powerful than backlinks from low DA sites. 27% of the top 10 search results use https- Move to https as soon as possible. Making your site secure is good for SEO. 46% searches on Google are local- Local search market is big but not yet very competitive. Local SEO is the best way to promote your offline local business. Google has a rich history of making changes to its algorithm and surprising webmasters. As stated earlier, Google changes its search algorithm 500-600 times a year. Here we will look at all major Google updates and how they affected webmasters. Rolled out on Feb 24, 2011, Google panda was aimed to improve search results by eliminating thin, scrapped, keyword-stuffed content from SERP and punishing webmasters for this. Panda update made it difficult to cheat the system with copied content and stuffed keywords. 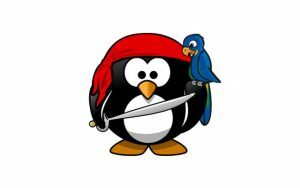 Penguin update was launched on April 24, 2012. This update was aimed to punish webmasters using spammy links and links with our optimized anchor text. All the sites that deem to manipulate backlink too much are downranked on SERP after the penguin update. Launched in the year August 22, 2013. Hummingbird update was similar to the panda in intention. It also aims to improve content quality. Hummingbird helped Google better understand search queries and provide results on the basis of search intent. The pego update was launched on July 24, 2014. Pigeon affects those searches in which the user’s location plays an important part. The update created closer ties between the local algorithm and the core algorithm: traditional SEO factors are now used to rank local results. Google’s Mobilegeddon update was aimed to make sure that only mobile friendly pages rank on top of the mobile search. Paes which were hard to use on mobile devices were filtered out and downranked. Rankbrain was launched on October 16, 2015. Rankbrain is considered to be a part of the Hummingbird algorithm. Rankbrain helps Google understand the intent and meaning behind search queries and thus sere the best results according to search intent. Put simply, rankbrain is a machine learning system enabling Google identifying page relevancy for a given query. The possum update affected local search results, It ensured that for local searches, users see business most near to them. Possum resulted in a greater variety of results for similar keywords. The Fred update was launched on March 8, 2017. This affects webmasters that violate Google webmaster guidelines. This update affected sites with lots of affiliate links and ads placed just for generating revenue. Low-quality Blogs were affected the most by this update. I hope these SEO statistics would be driving your SEO strategy for 2019. SEO is an ever-changing environment and surviving in this environment without proper SEO knowledge is near to impossible. I hope this post helped you know SEO industry the better way. 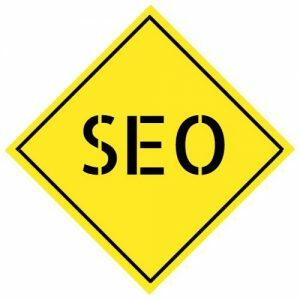 Do share this post with all SEO geeks and let me know your thoughts in the comments.